Brand Owners' Summit: Which half of the advertising budget is a waste? How relevant is the age-old quotation 'Half the advertising rupee is wasted'? Experts debated and presented their views. 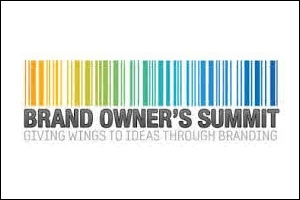 The Brand Owners' Summit held on September 24, at The Park, Kolkata, saw marketing and advertising experts share their insights on brand building. The event began with a session by Bikram Dasgupta, chairman, Globsyn Group, who spoke about the key learnings from his entrepreneurial journey. This was followed by a discussion on brand Turtle by Amit Ladsaria, its director. There were two more sessions, one on 'powering the next growth curve through diversity marketing' by Rajendra Khare, SureWaves MediaTech, and another one on brand CenturyPly by Keshav Bhajanka. A panel discussion too was held on the topic 'Half the advertising rupee is wasted goes the saying. The question is which half?' moderated by Sandip Chaudhuri, director, CMI, who initiated the discussion by attributing the quote to two legendary marketers - Johnwanamaker and William Lever. Amitava Sinha, group CEO, Genesis Advertising, shared his thoughts, explaining that there are two parts of the ad budget in the face of creative development - cost and the much larger media budget. In media, sub-optimal spends, he said, are always a waste as building a brand is a long-term task. "If you are going into media, you need to have adequate spends, otherwise it is pointless; scratching the surface doesn't help. While reaching the maximum possible people at the least possible cost is the raison d'etre of any media plan, the truth is that one needs to look beyond just cost efficiency towards qualitative aspects," he shared. Talking about spends on creatives, he said that less than 10 per cent of the total is for the creative side and that compromising at that level really jeopardises the efficacy of the remaining 90 per cent. In his opinion, brand owners need to be open-fisted about the creative fees they are willing to pay. The discussion was taken forward by Amit Gope, group marketing head of CenturyPly, who suggested that marketing is a little beyond advertising. "My learning has been that we haven't really put in enough money in knowing our customer and, hence, the media wastage and the advertising spill-over. We have insights, but these are assumptive, based on secondary data. You get the right creative when the brief is right, which comes from a strong understanding of the product, customer and the market," he stated. To panel member Kanchan Datta, founder, Inner Circle Advertising, the topic of discussion did not make any sense. He justified by saying that the concept was 130 years old and doesn't hold true today. "Two changes have come about since - firstly, targetting has become easier as one can identify the 'critical mass' and, therefore, the wastage goes down; measurability has improved as digital invades lives. At every stage, you can define what worked and what didn't. There is so much clarity now," he added. Samrat Mukherjee, founder, Crow's Nest, on the other hand, said that it's not 'half waste', but double the expectations. Agreeing with Datta, he added that there is a lot of data now and also abundance of technology. "The era of spray and pray, where we put a lot of content around and expected that sales and enquiries will come, has ended. Data can be gathered from multiple touch-points, but are marketers investing in technology to minimise the wastage?," he asked. Mahesh Motwani, executive vice president, BPN Money, shared his view by saying that data can buy reach, but not conversions. "50 per cent wastage is fine, but what you are getting in the other 50 is very important," he stated. Moderator Chaudhuri, in conclusion, said that while advertising is meant to sell, it does more than just selling. "It depends on where you are, whether you are building awareness, or a promotion or building brand value. What are we doing and how to put a measure to it is the challenge for marketers and agency guys," he said. The event also saw discussions on real estate and healthcare branding and start-up culture. The Brand Owners' Summit Kolkata was organised by afaqs! and The Smart CEO, and sponsored by SureWaves, The Advertising Club Calcutta, Big FM and The Park Hotels. 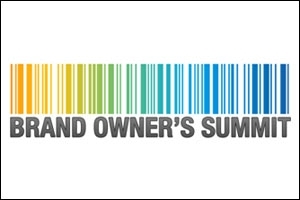 Brand Owner's Summit: Ready to learn from brand gurus?